2. How Much State & Federal Tax Is Owed on Sweepstakes Winnings? 3. Do Lottery Winners Pay Social Security Tax? So you won a Mega Millions or Powerball jackpot – congratulations! Your life has changed forever. But before you splurge on a yacht or your own private island, you have a big decision to make. States offer you the choice of taking the money as a single lump-sum cash payment or in installments, paid yearly, over several decades. Both options come with a significant tax bill, which means you'll never walk away with the headline amount of your win. First up is the federal tax bill. The Internal Revenue Service taxes lottery winnings as ordinary income so if you take the cash as a single lump-sum payout, then you're going to get taxed on the whole amount in the year of your win. Assuming the windfall takes your annual income over $500,000, or $600,000 for married couples filing a joint return, you'll be pushed into the highest federal tax rate (37 percent in 2018). This tax hit is a lot bigger than many folks expect. When you receive the lump sum, the state lottery agency automatically withholds 25 percent for federal income taxes. For someone winning $10 million as a lump sum, that reduces your check by $2.5 million. Residents of the U.S. who cannot provide a Social Security number will have 28 percent withheld, while for foreign citizens, it's 30 percent. The tax withholding gets paid directly to the IRS. When tax time rolls around, you must pony up the rest of the taxes you owe – that's another $1.2 million on your $10 million win, for a final tax bill of $3.7 million. That figure is an estimate since your eventual tax bill will depend on your personal tax position including the interest and returns you make from investing your winnings. Depending on where you bought the ticket, state and local governments could demand another slice of your windfall. A New York City resident, for example, will pay up 8.82 percent of the jackpot in state taxes and the city will collect an additional 3.876 percent in local income taxes. Currently, 36 states charge state income tax on lottery winnings, with state withholding rates ranging from 2.9 to 8.75 percent in 2018. You'll need to plan for another tax bill when the rest of the state taxes come due next April. Tallied up, the state and local tax liability could amount to another 12 percent off the lump-sum payout, reducing your $10 million gross winnings to as little as $5.1 million. That's almost half your lottery prize gone in taxes. You can use a lottery tax calculator such as USA Mega's Powerball Jackpot Analysis website to find the tax rate and the typical tax bill in your state. The luckiest lottery winner will reside in one of the states that either don't tax lottery prizes or have no income tax. Residents of California, Delaware, Florida, New Hampshire, South Dakota, Tennessee, Texas, Washington and Wyoming do not pay a state income tax on lottery winnings, although they will pay tax on income earned from investing the cash. Alabama, Alaska, Hawaii, Mississippi, Nevada and Utah do not participate in Powerball and do not have their own state lotteries. If you head out of state to buy a ticket, then state and federal taxes will be withheld based on where you bought the ticket. Unsurprisingly, the IRS does not look at lottery winners and see people who could benefit from tax concessions. The two deductions you might use to lower your tax bill are charitable donations and gambling losses. With charitable donations, you still have to declare the lottery win as income but the IRS will let you claim up to 50 percent of your adjusted gross income as a deduction for cash you give to charity each year. Gambling losses are deductible as long as you itemize and the amount of your losses does not exceed the amount of your big win. So if you bought 10,000 lottery tickets to secure the jackpot, and have proof of those expenses, you can deduct those losses. Generosity is a virtue, but it could signal more gains for the tax man. Gifts to your spouse are unlimited, but gifts to other recipients are restricted to $15,000 per recipient, per year in 2018. Give away more than that and you need to file IRA Form 709 to disclose the gift. What the gift return does is keep track of how much money you're giving away. Under current tax rules, you're permitted to gift up to $11.18 million over the course of your lifetime. Exceed that, and the gift tax is a flat 40 percent on the excess. Some states impose gift taxes too. The giver (that's you) is the one liable to pay the gift tax. There is a way to avoid paying a gift tax when you anticipate sharing the winnings with friends and relatives, and that's to draw up an agreement before you buy the ticket. The agreement would divide ownership of the winnings from the get-go. That way, the money will be taxed as each person's individual income rather than a gift for those recipients. They each will be responsible for income taxes on their share. What If You're Part of a Syndicate? Handing a few bucks over to the Powerball pool at work might seem like an easy way to play the lottery, but it adds another tier of complexity to the tax situation. Many states have limitations on how many checks can be cut, which means that one person may be forced to receive the cash on behalf of the pool. That person would then take the full income tax burden on the lump sum. There would also be gift taxes when you distribute the prize money and estate tax consequences for the person who accepted the check. Almost certainly, you will need to establish a legal entity such as a partnership or trust to claim and distribute the prize in a tax-efficient manner. This is complex stuff, so it's a good idea to find a lottery lawyer who can make sure all participants get their prize money equally while minimizing taxes. What If You Take an Annuity? 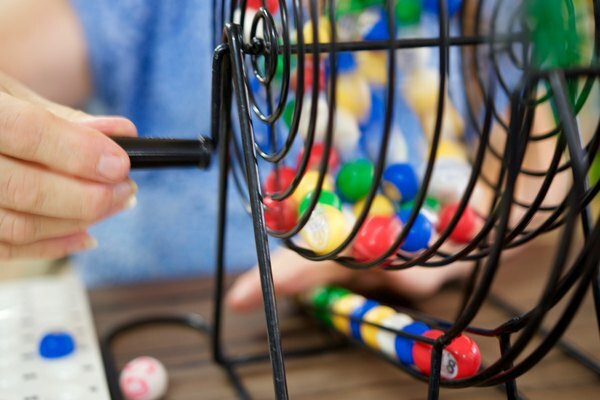 Most lotteries allow you to take an annuity instead of a single cash transfer. An annuity is a series of annual payments that are typically made over 30 years. Like a lump sum, annuity payments are taxed as regular income tax in the year you receive them. But since you're receiving far less money each year than you would with a lump-sum payout, taking an annuity may put you in a better tax position. Suppose, for example, that instead of receiving the whole $10 million in one year, you take an annuity of $350,000 a year. The $350,000 would be taxed in the 35 percent, rather than the 37 percent, bracket in 2018, thus reducing your overall tax bill. As to whether you should take a lump sum or an annuity, that's a complex question. Your actual tax liability will depend on the size of the lottery win, your other income, your income tax rate, your state of residency, the yield you're getting on your investments and how much income you need to live on. The best way to minimize your tax hit would be to sit down with a CPA, tax lawyer and other experts to figure out a plan based on your personal situation. Investopedia: Lottery Winnings: Take the Lump Sum or Annuity? Turbo Tax: Can You Claim Gambling Losses on Your Taxes?